Look who is building a streaming dongle now: Microsoft is getting ready to launch its very own Chromecast competitor, according documents filed with the FCC that were unearthed by Windowsphonedaily this week. The FCC application for the device with the model number HD-10 is heavily redacted and doesn’t actually spell out what it can be used for, only revealing that it comes with a HDMI port, Wi-Fi and a USB connection for power supply. 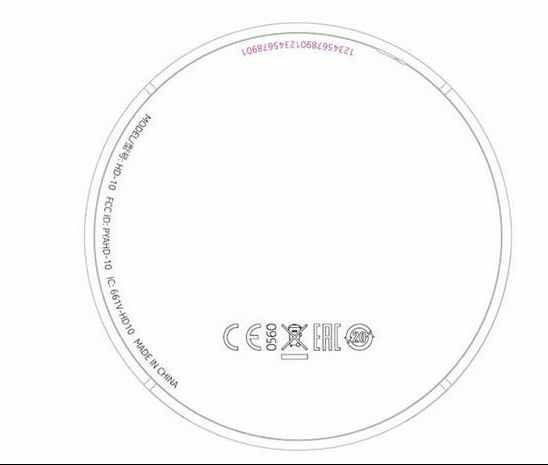 The label of Microsoft’s Miracast dongle, as shown in an FCC filing. However, a blogger at Nokiapoweruser was able to add a piece to the puzzle by querying the Wi-Fi Alliance product database, which describes the HD-10 as a Miracast dongle. This means that the device can be used to mirror a user’s mobile or desktop screen to the TV. However, Miracast doesn’t come with any of the advanced multi-screen features that are offered by [company]Google’s[/company] Cast protocol, including the ability to queue up media from multiple participants at the same time, or play multiplayer games. Another key difference is that Miracast is based on streaming media directly, in a P2P-like fashion, from the sender device to the receiver, whereas Google Cast merely points the receiver to a media resource that can be hosted in the cloud. Still, it’s interesting that [company]Microsoft[/company] would add such a dongle to its device line-up. Building its own streaming dongle could help the company to bring screen mirroring to Windows phones and Windows 8 apps, which have thus far been ignored by others. Google only offers its Cast SDK for Android, iOS and web apps, and [company]Apple[/company] only offers AirPlay for iOS and OS X devices. Ok nothing new, a wait-and-see (microsoft) company is trying to follow other’s company lead, again. If it is Microsoft, they will manage to screw it up, somehow. No, MS doesn’t “bring screen mirroring to WP and Windows 8 apps”. When mirroring screens, the necessary cable can now be replaced by a dongle for some devices. From Entrepreneur Magazine today: Windows phones already use Miracast technology for a feature called Project My Screen that lets users project their phone screens onto an external device, but the technology is only available on a limited number of devices. By releasing a Miracast dongle, Microsoft could be attempting to broaden support for the technology while competing with Chromecast and set-top boxes like Roku and Apple TV. Windows Phone 8 already has Project my screen. Sounds the same to me.